Nissan's IDS Concept, unveiled at this year's Tokyo auto show, showcases technologies the automaker is developing in its push to roll out increasingly sophisticated autonomous cars. 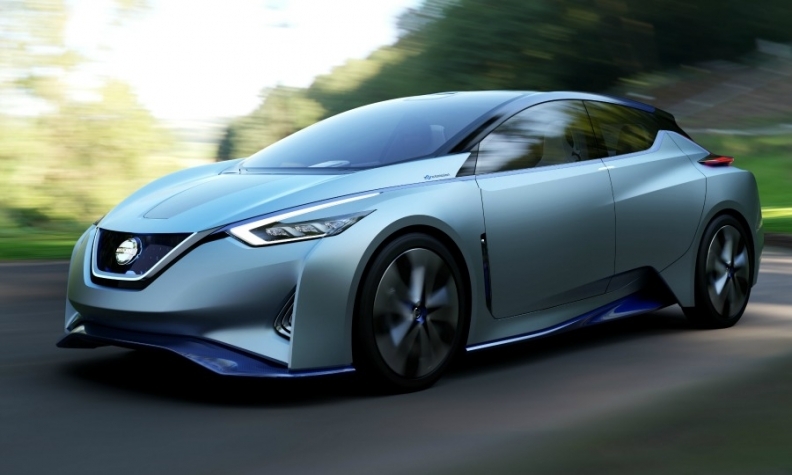 Nissan has a vision of what the ideal fully connected car should be and foresees having cars with these key characteristics on the road by 2020. 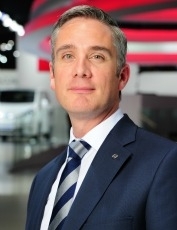 Nissan Europe's head of advanced product planning, Richard Candler, provided details on this and more in an interview with Automotive News Europe Correspondent Olive Keogh. What is your definition of the fully connected car? Autonomous, connected, electric. They just work so well together. How soon will this happen? It depends on the level of autonomy. We are launching a system next year that can manage traffic jams on the motorway for example. By 2020 we will have cars that can basically drive themselves in every situation. It will take some time for the consumer to get used to these systems. We will start by taking away some of the pain points of driving such as traffic jams and long journeys on motorways. What is the main challenge for this area of the automotive business? Keeping things simple and refining the user interface. Are Google and Apple friends or foes? There will be areas where we want to collaborate with them and areas where we don't. They’re very big companies with a lot of products. Some will be attractive to us, others will not. MAIN CHALLENGES: Answering future customer demands in key areas such as powertrain and electrification, infotainment, telematics, safety and autonomous driving. Richard Candler: "By 2020 we will have cars that can basically drive themselves in every situation." What's your investment in this area? We haven’t given a figure but we are making a high level of investment in three key areas – EV, autonomous, connected. To date we [Nissan and alliance partner Renault] have invested $5 billion in the EV part of it. What's the most expensive part of connected car solutions? It depends on the implementation. We have the smartphone solution that is relatively inexpensive and the more expensive black box solution. As the technology becomes more mainstream and costs reduce we will start to see embedded solutions or a combination of embedded and smartphone systems becoming more common. The embedded solutions require physical hardware in the car. Smartphone solutions rely on you bringing in your own technology. An important part of Nissan's philosophy is integrating the technology consumers already have. What's the future for this area? At one level it will become just another node on the connected sphere and another device within the Internet of Things. But it's more than that. It’s also about the services offered and how you deliver real value. How advanced is Nissan’s rollout of connected car services? We already have full connectivity on all of our EVs. This includes services such as a charging points download that tells customers where charging points are. We also have some unique features such as the ability to charge the car by remote control using a smartphone to initiate the charging. The heating and air conditioning can also be activated remotely. Are all of these features available in all of your vehicles? No, just on EVs at the moment. We have a smartphone integration system on our other cars with access to services such as Google search and Trip Advisor. It's quite easy to do this for any car with a navigation system and that's at least 60 percent of our lineup. How do you pick these features? Telematics/connectivity is only a wire into a car. What it's really about is the value in the services and solutions you offer. For EV owners it's all around the charging system, as battery power becomes such an important commodity. In general, people want features such as high-quality traffic information. But we're also doing a lot of research into insurance-based telematics. Customers are particularly interested in connectivity when it's around something that can have a direct impact on motoring costs, such as insurance. Is there danger that drivers will face connectivity overload? Yes, and I take the view that less is more in this type of environment. I also think personalization has a big part to play as the 10 things I use will be different to the 10 someone else uses. Do Nissan and Renault collaborate on connected car solutions? Yes. A lot of the back office and black box side of things is common but the offer to the consumer is different. Telematics services are very local so there needs to be a lot of European input on both the development and strategy. Local understanding of the market is more important for telematics than for other parts of the car.